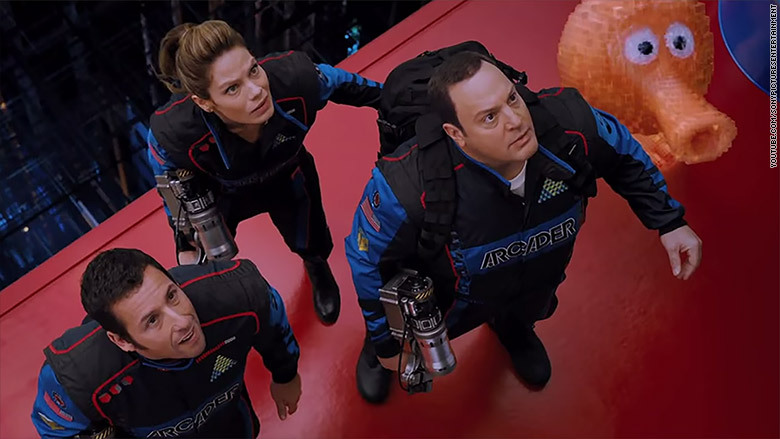 Will Adam Sandler bring a box office high score or a game over to "Pixels" this weekend? Sony (SNE) and Columbia Pictures' video game comedy opens this weekend and is projected to bring in roughly $20 million to $30 million, according to box office analysts. However, some are going as high as $40 million. One of the reasons why the film may be hard to forecast could be due to its star, Adam Sandler. Sandler was at one time one of the biggest box office stars in Hollywood with his films racking up $2.6 billion in the U.S. alone, according to Rentrak (RENT). Yet, in recent years, that star power has somewhat dimmed. Films like 2014's "Blended" and 2012's "That's My Boy" brought in less than $50 million at the domestic box office and a score of 20% or less on review site, Rotten Tomatoes. Even one of Sandler's biggest successes in recent years, "Grown Ups 2," bombed with critics only garnering a positive review score of 7%. But that film still made $133.6 million in the U.S. despite getting panned. "Some people just don't like his movies, but at the end of the day his fan base still exists," said Phil Contrino, chief analyst at BoxOffice.com. "Pixels," a film about pixelated 1980's video games that attack Earth, is also getting beat up by critics with only a 20% score on Rotten Tomatoes. But just because it has bad buzz doesn't necessarily mean it'll bomb this weekend. "There's this belief in the industry that if a film doesn't have good buzz that it won't do well at the box office," Contrino added. "This isn't always the case, especially in the summer." For example, the "Transformers" franchise has never been a critical darling, but has consistently been a hit at the summer box office. And like "Transformers," "Pixels" has 1980's nostalgia going for it. This may be why if you look at the posters for "Pixels" you'll find Pac-Man and Donkey Kong rather than Adam Sandler and Peter Dinklage with a mullet. 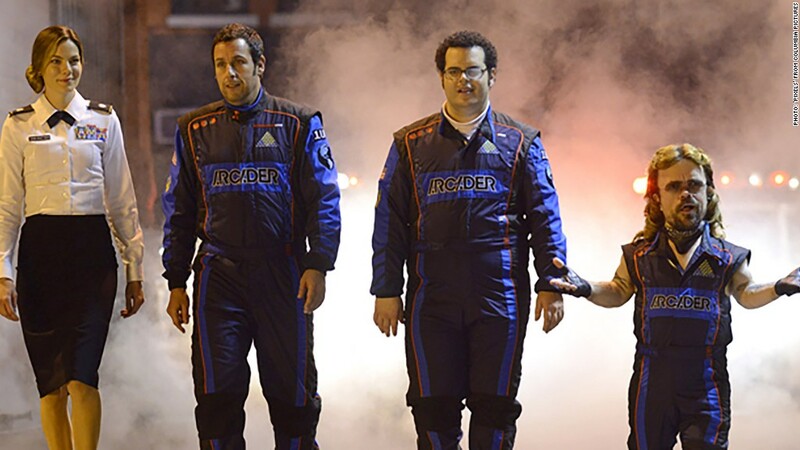 Even if theater audiences pull the plug on "Pixels," Sandler could get an extra life on Netflix. The comedian has a four movie deal with the streaming site. His first film, the western/comedy "The Ridiculous Six," debuts on the site in December. Plus when it comes to the arcade game that is Hollywood, it's best to not dismiss a big, familiar name. "You never want to count out a major star ever," Contrino said. "All it takes is one film for them to come back."